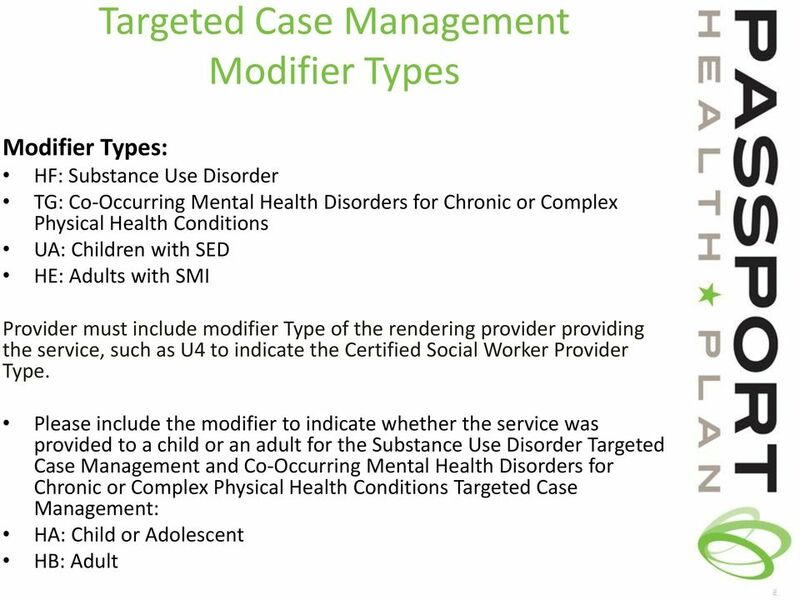 Download "Behavioral Health Provider Training: Substance Abuse Treatment Updates"
8 Targeted Case Management Targeted Case Management is an available service for Individuals with: Substance Use Disorders (SUD) Co-Occurring Mental Health Disorders for Chronic or Complex Physical Health Conditions (CCC) Severe Emotional Disability (SED) Severe Mental Illness (SMI) Billable code for TCM is T2023. 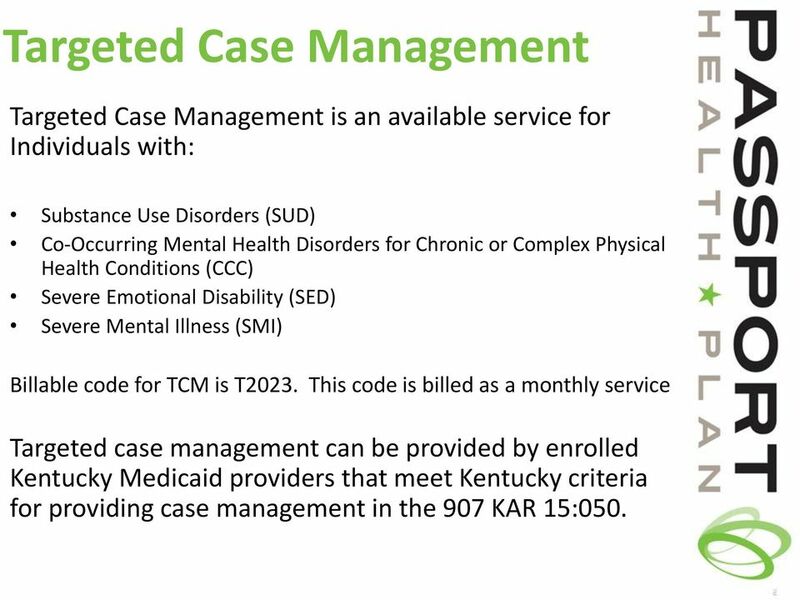 This code is billed as a monthly service Targeted case management can be provided by enrolled Kentucky Medicaid providers that meet Kentucky criteria for providing case management in the 907 KAR 15:050. 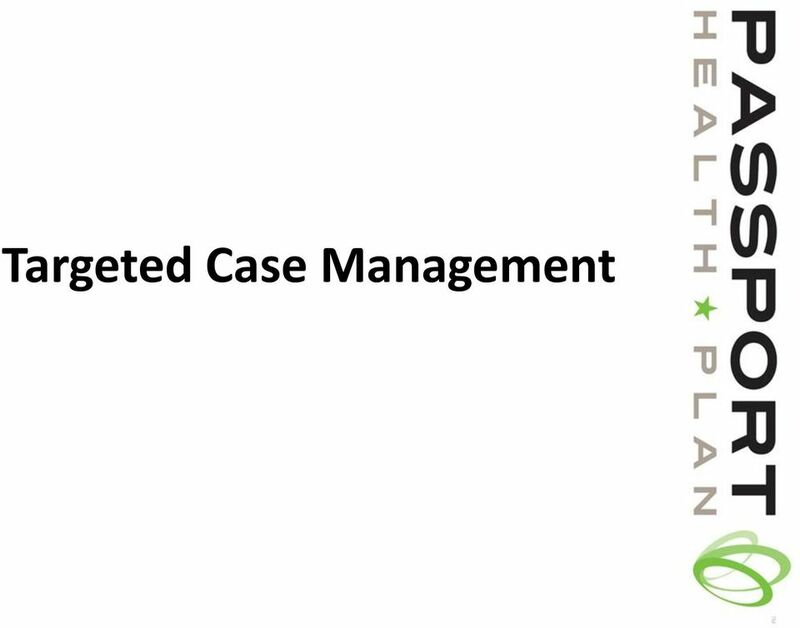 9 Targeted Case Management Authorization Requirements: Substance Use Disorder Targeted Case Management and Co- Occurring Mental Health Disorders for Chronic or Complex Physical Health Conditions Targeted Case Management will require prior authorization. 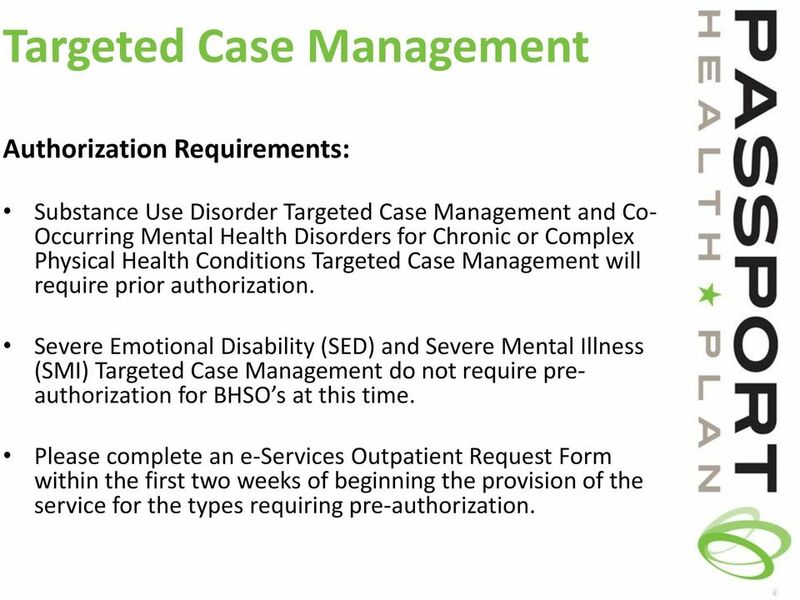 Severe Emotional Disability (SED) and Severe Mental Illness (SMI) Targeted Case Management do not require preauthorization for BHSO s at this time. 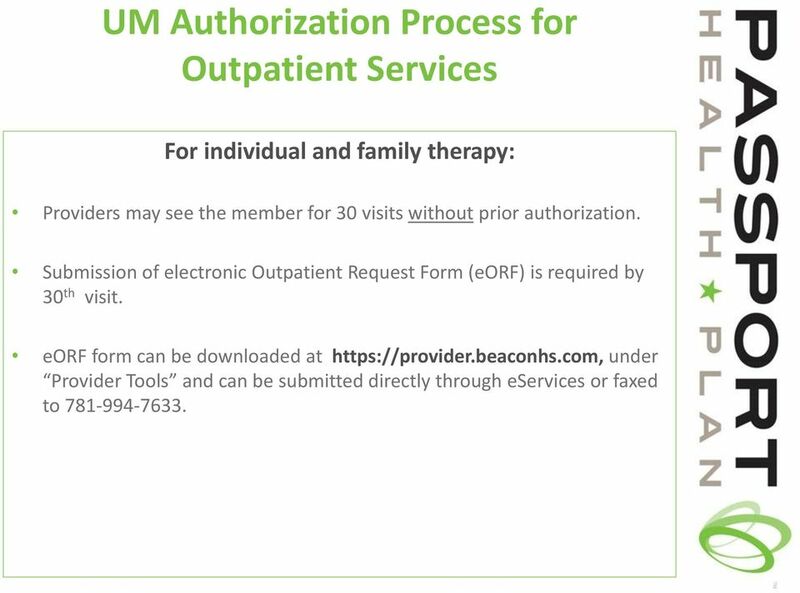 Please complete an e-services Outpatient Request Form within the first two weeks of beginning the provision of the service for the types requiring pre-authorization. 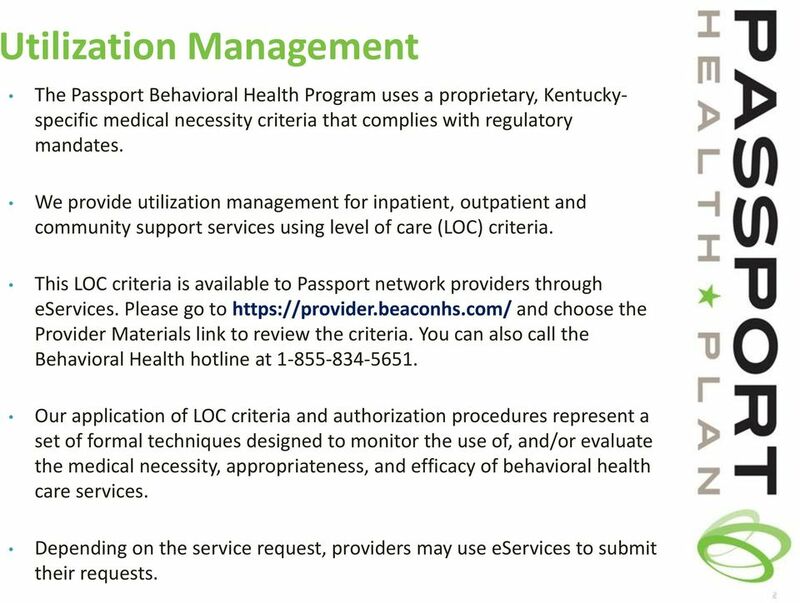 14 Utilization Management The Passport Behavioral Health Program uses a proprietary, Kentuckyspecific medical necessity criteria that complies with regulatory mandates. 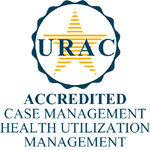 We provide utilization management for inpatient, outpatient and community support services using level of care (LOC) criteria. 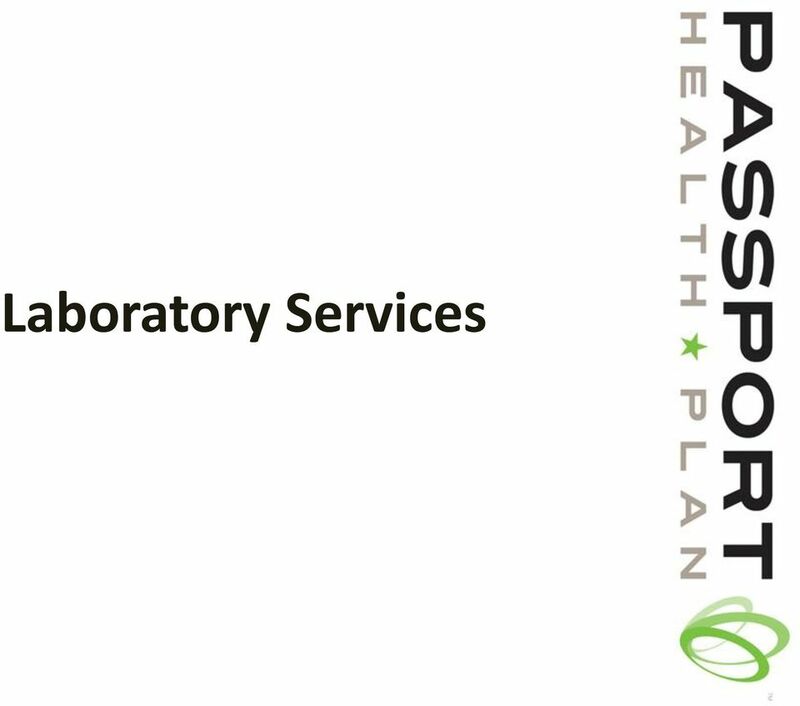 This LOC criteria is available to Passport network providers through eservices. Please go to and choose the Provider Materials link to review the criteria. 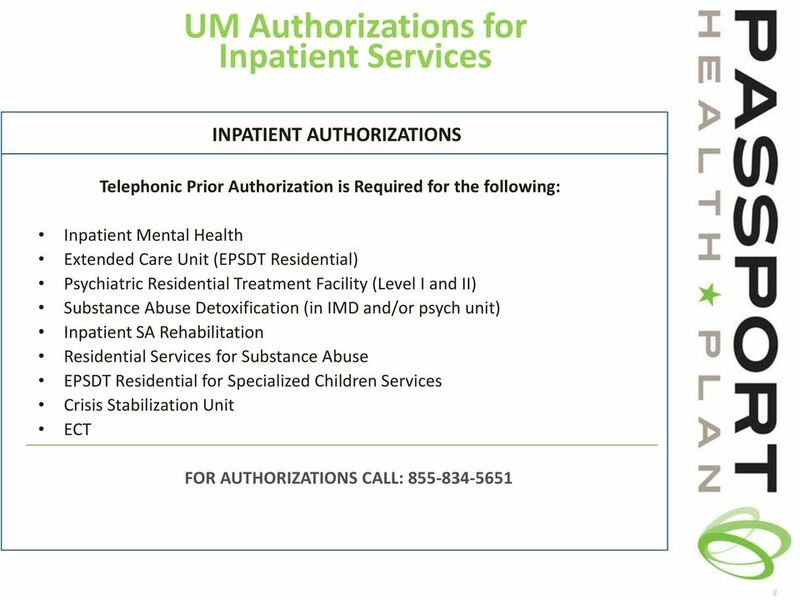 You can also call the Behavioral Health hotline at Our application of LOC criteria and authorization procedures represent a set of formal techniques designed to monitor the use of, and/or evaluate the medical necessity, appropriateness, and efficacy of behavioral health care services. 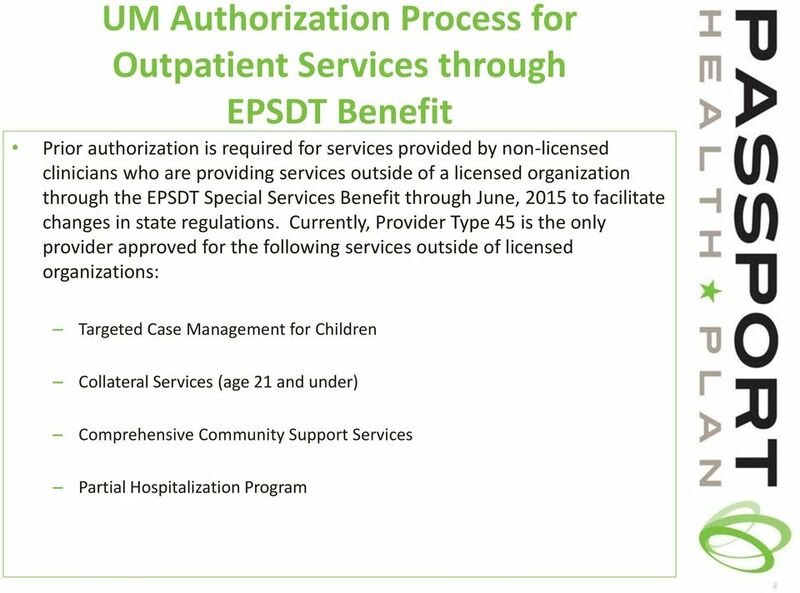 Depending on the service request, providers may use eservices to submit their requests. 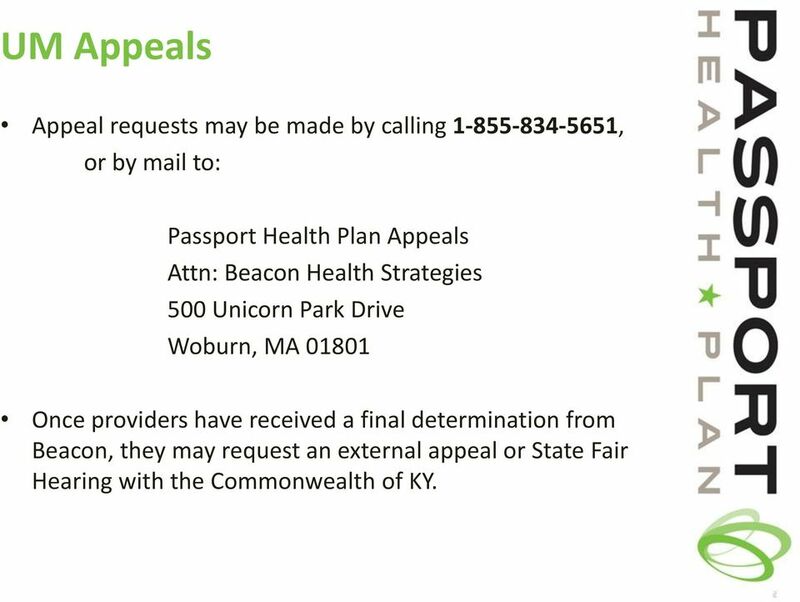 20 UM Appeals Appeal requests may be made by calling , or by mail to: Passport Health Plan Appeals Attn: Beacon Health Strategies 500 Unicorn Park Drive Woburn, MA Once providers have received a final determination from Beacon, they may request an external appeal or State Fair Hearing with the Commonwealth of KY.
22 eservices This is a free service for all contracted and in-network Passport providers. 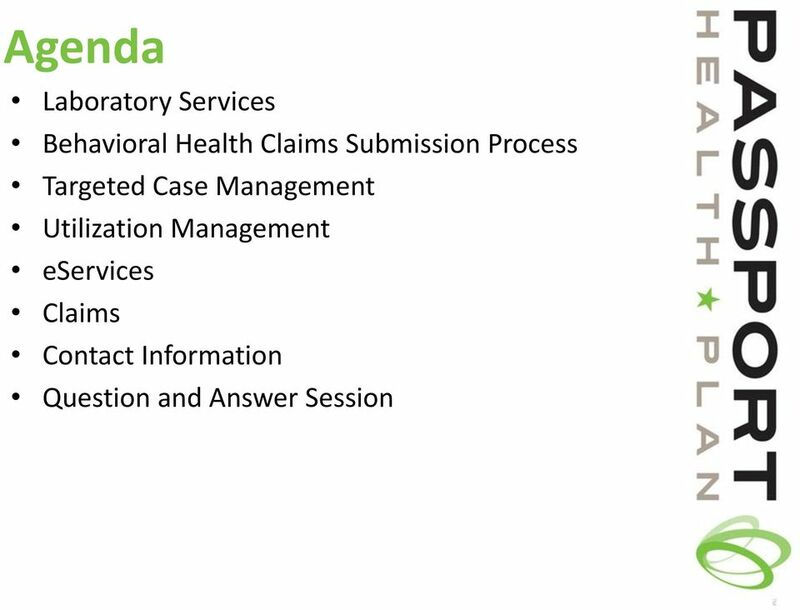 The goal of eservices is to make clinical, administrative, and claims transactions easy to do. 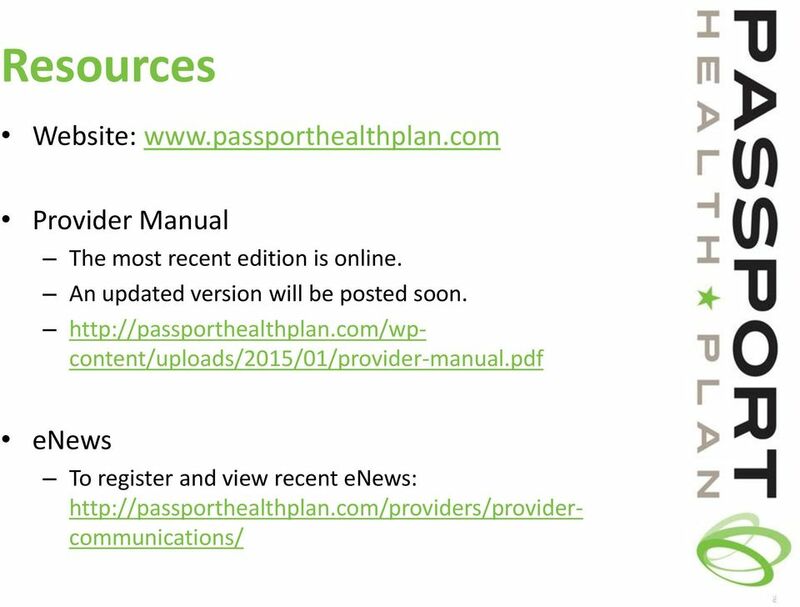 By using eservices you will be able to: Submit requests for authorization Submit claims Verify member eligibility for Passport Health Plan Confirm authorization status Check claim status View claims performance information Access to provider manuals, forms, bulletins and mailings View or print frequently asked questions (FAQs) Screen shots from the eservices website appear on the following slides. 24 eservices eservices is simple to log into and use. You create your own username and password. 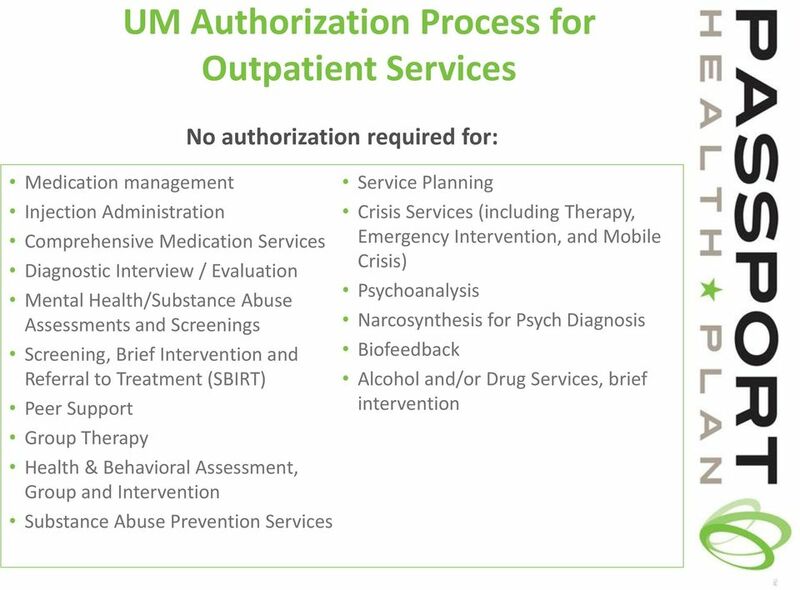 26 eservices Click here Submitting an authorization is just a few key steps away! 27 eservices Click here Simply use the Member Search to find the member for which you are wanting an authorization. We now require three unique member identifiers for a Member Search. 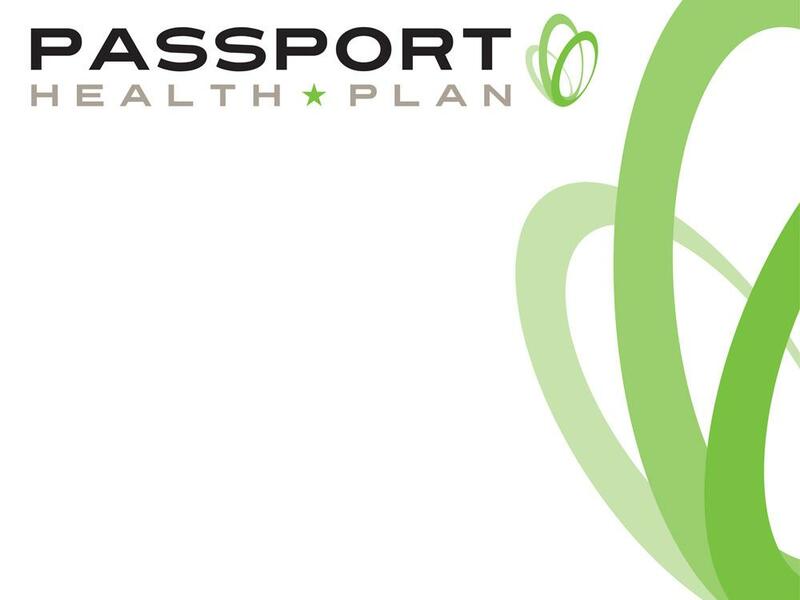 You will need: Passport Member ID or Medicaid (Alternative) ID, Member Date of Birth and Member Last Name. 28 eservices Choose the type of service from the drop down menu. 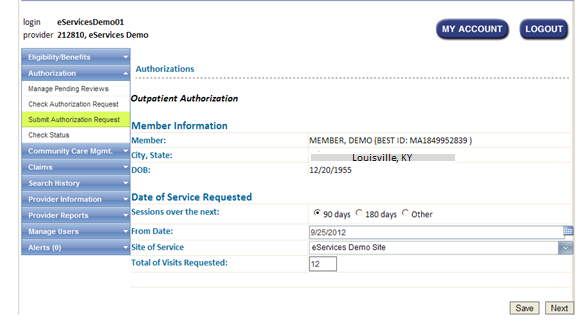 29 eservices Louisville, KY Once you have entered all of the required fields, you may submit your request. 30 eservices After you have successfully submitted your request, you will receive a reference number for your records. 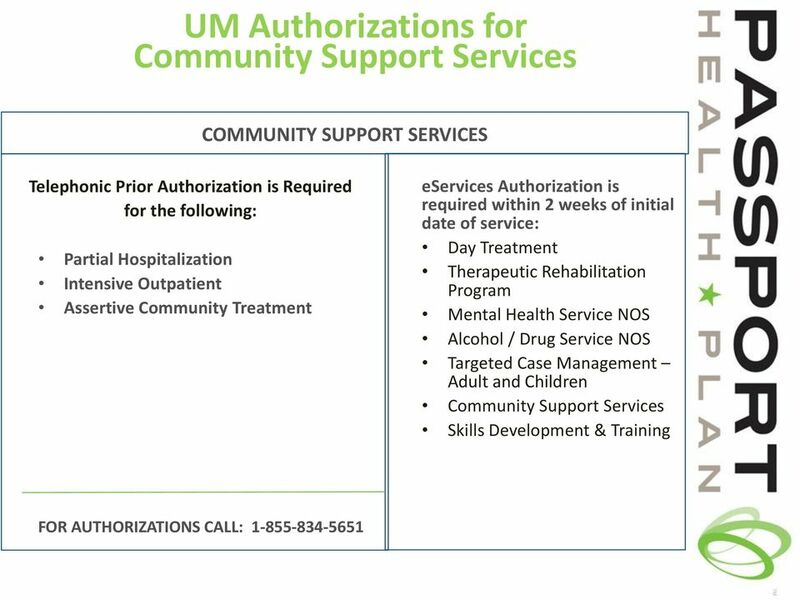 31 eservices Once you have an authorization in place, you may submit a claim via eservices. 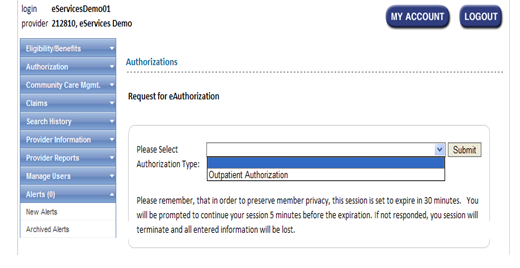 Inpatient and outpatient claims can be submitted via eservices. 32 eservices Submitting a claim electronically takes less time and is more efficient than a paper claim. Once the fields are entered just hit submit! 33 eservices Now that your claim has been submitted, you will receive a transaction number. You may also print the page for your records. 34 eservices Click here Claim reconsiderations may be done online, for claims that were submitted and denied and require an in depth review. 35 eservices Always make sure to enter the original claim s RecID Once you have entered your claim info and explanation you can submit a reconsideration request. 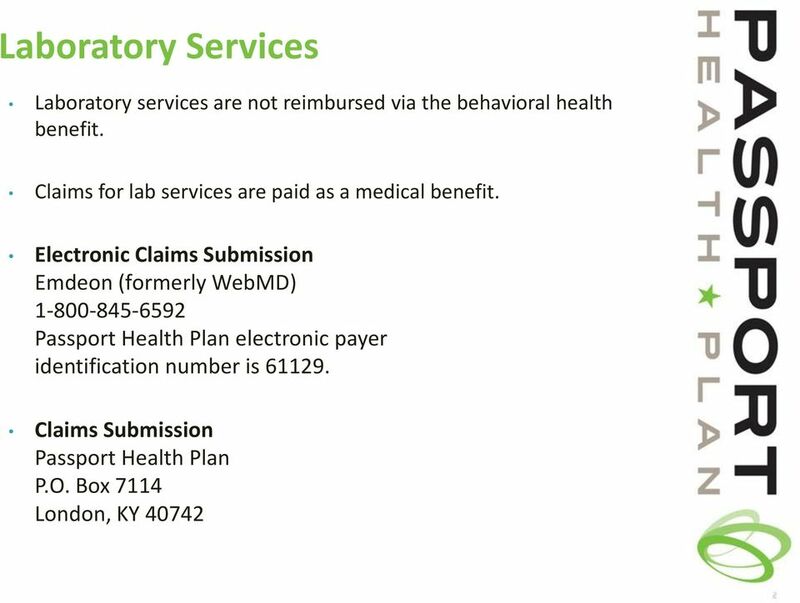 36 eservices Claims that may have denied for an incorrect procedure code or diagnosis code may also be re-submitted electronically. 37 eservices Once the claim has been chosen, click on the resubmit link. 38 eservices After you have clicked on re-submit, the information will automatically fill-in from the previous submission. You can then make corrections and re-submit. Re-submissions must be made within the timely filing limit of 24 months. 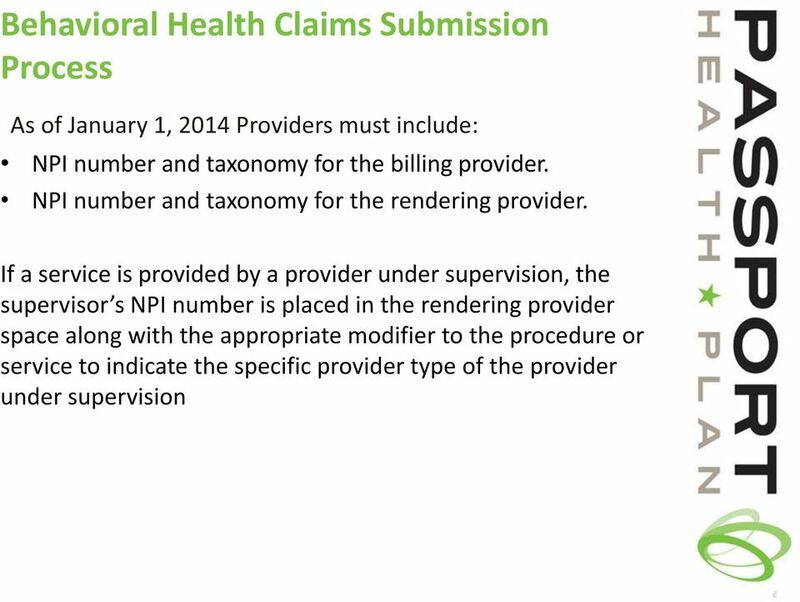 42 Use of Modifiers All claims must be submitted with the appropriate modifier or the claims will deny. 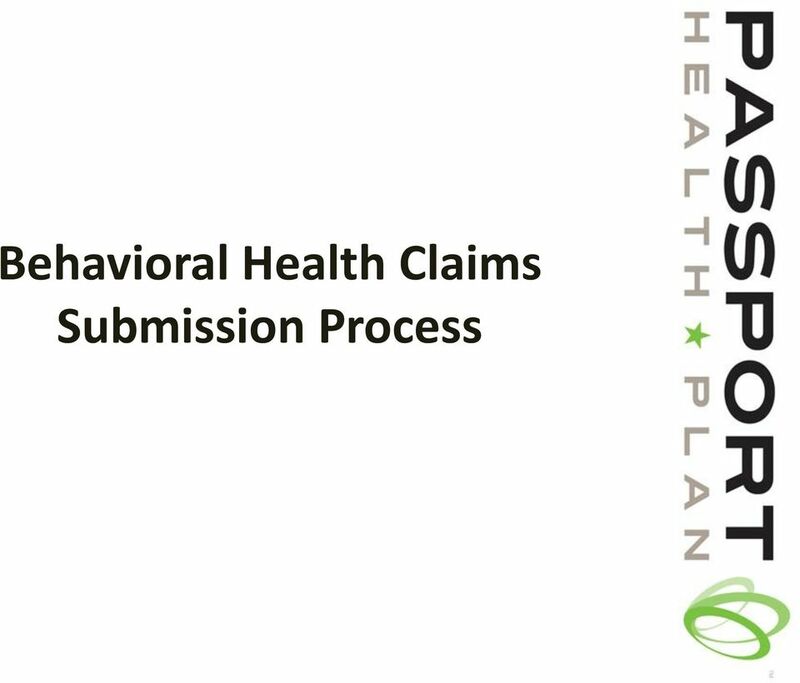 Please refer to the 10/06/14 enews entitled Modifications to Behavioral Health Claims Submission Process for a list of modifiers and an example of a CMS 1500 claim form. 43 Additional Info: Waivers, Reconsiderations, Resubmissions All claim resubmissions must include the Rec ID from the original claim to prevent unnecessary timely filing denials. Waiver requests (for timely filing) may be submitted within 24 months from the qualifying event and must be accompanied by a claim form (available on Qualifying events include: retroactive member eligibility; retroactive authorization and retroactive provider eligibility. If your request is not for one of these reasons, it will be denied and you must follow the procedure for reconsiderations. Once you have exhausted all other avenues, you can submit a request for reconsideration of the 24 month timely filing limit. Reconsiderations must include: Copy of claim form with a cover letter explaining why claims were not filed in a timely manner, along with supporting documentation. Screen prints of billing ledgers, certified mail receipts or documentation that claims were sent to a clearinghouse are not considered proof of timely filing. 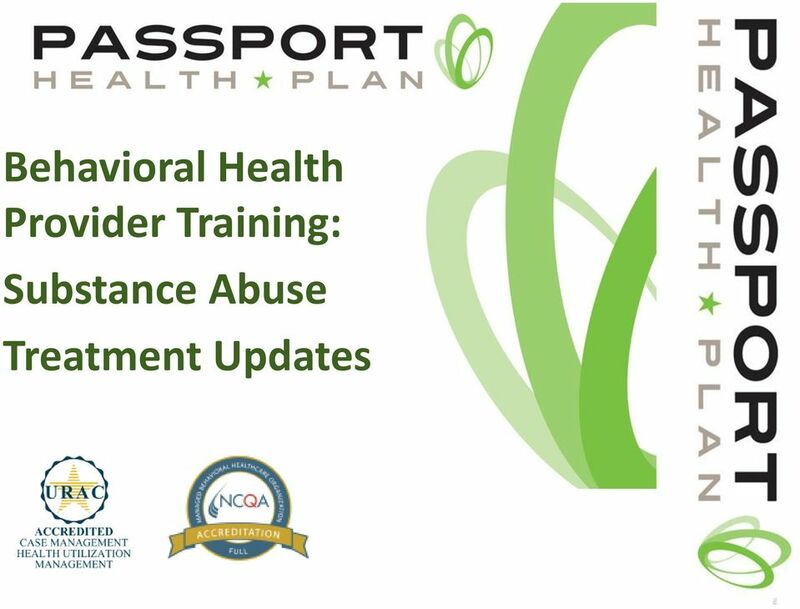 46 Contact Numbers Enrollment Department (502) For behavioral health questions, please contact the Behavioral Health Mailbox Passport Behavioral Health Mailbox Liz McKune, Ed.D. 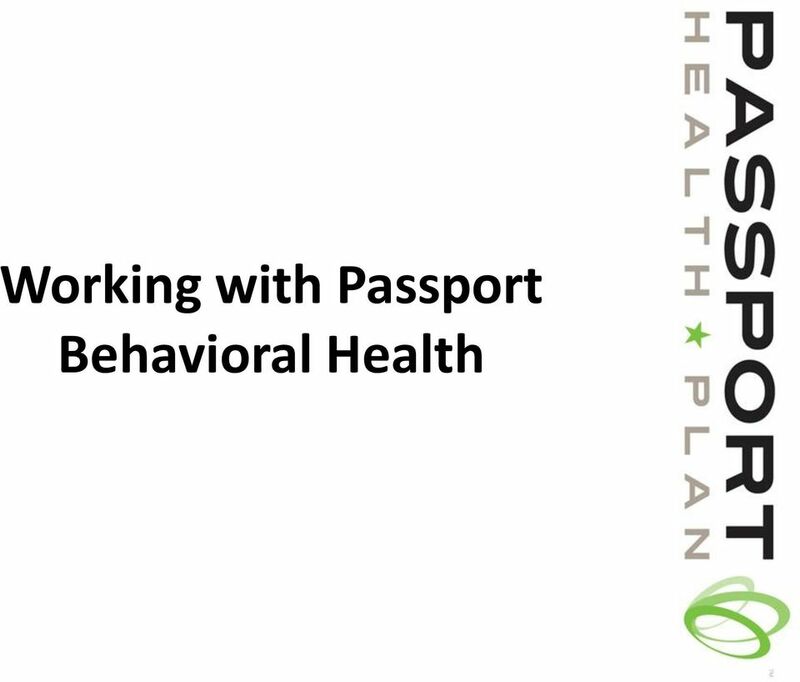 Passport Director of Behavioral Health (502) Brigid Adams Morgan Beacon Health Strategies, Program Director for Passport (502) Passport Health Plan s mission is to improve the health and quality of life of our members. 48 Questions & Answers We will take a 10 minute break to compile questions. 49 Thank you for helping us with our mission of improving the health and quality of life of our members. 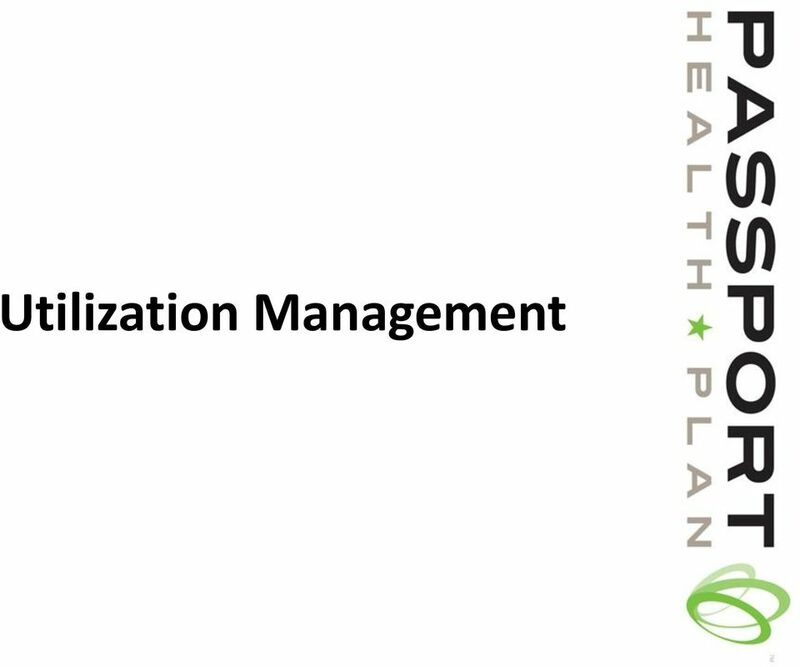 Magellan Claims Settlement Practices and Dispute Resolution Notice to Providers Contracted with California Subsidiaries of Magellan Health, Inc.